The FI-100 provides the technician a non-invasive method to determine if there is network traffic on a fiber before they disconnect it. This prevents the technician from accidently disconnecting fibers which may be transmitting critical services. 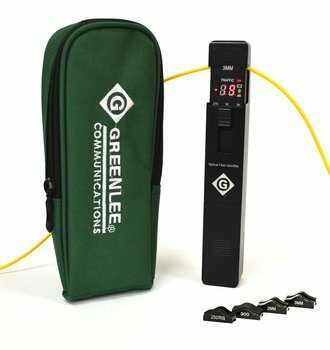 The FI-100 also measures the approximate core power, signal direction, and can also detect injected tones, which is useful for fiber tracing/identification. The high sensitivity of the FI-100 also allows it to detect the presence of light in bend-insensitive fibers.